The other Romanian records I received last week from Marius Chelcu are the birth and marriage records of Gustave Rosenzweig, my great-great uncle, the man who stood up for and posted a bond of Jankel Srulovici, the man who met his nephew Isidor or Srul Srulovici at Ellis Island, and the man who signed as a witness for his niece Bertha at her wedding in 1915. Although I’ve not yet found any record linking him directly to my grandfather or his siblings, I have to believe that he also helped out my grandfather when he first arrived and probably also helped when my great-grandfather died in 1910 right before his wife and other children arrived. So I have a great feeling of fondness for Uncle Gustave, and I was very happy that Marius was able to find these records. 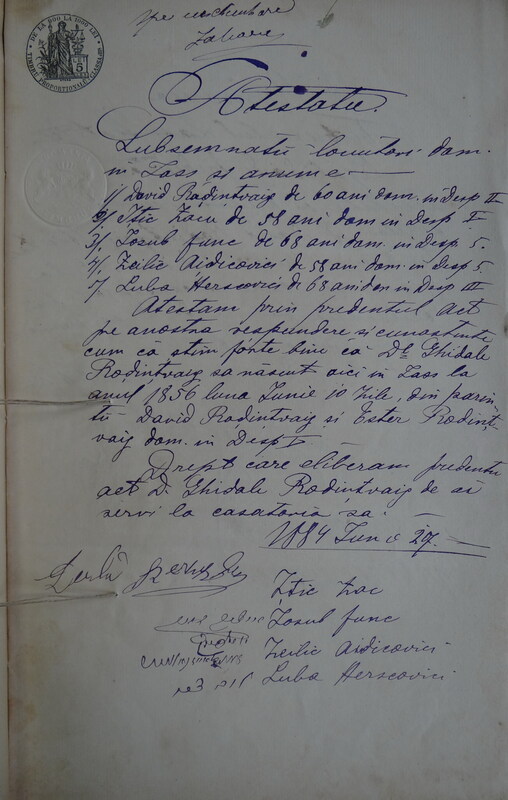 There were six pages of documents: a birth record, a record to prove that Gustave and his wife were not related under the Romanian Civil Code, and four pages of marriage records. Marius explained that these last four are essentially the same, as marriage laws required that there be three announcements of the marriage. (I am not sure what the fourth represents.) Marius only provided one translation of these four pages, however, so they need to be reviewed more carefully. 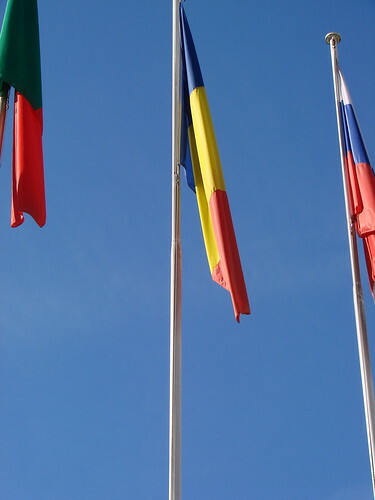 I wish I knew Romanian, but looking over these documents I can pick out many words because of their similarity to English, French or Italian. But it is still hard to compare them, given the handwriting as well as the unfamiliar words. 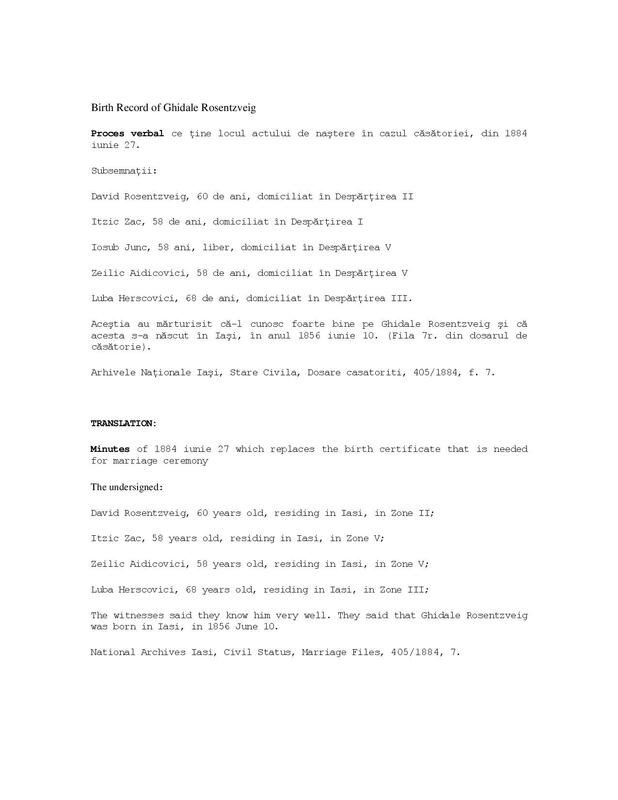 The birth record is not like the records I posted about yesterday, which were actual birth records for David and Rebecca Srulovici, filed at the time of their birth. 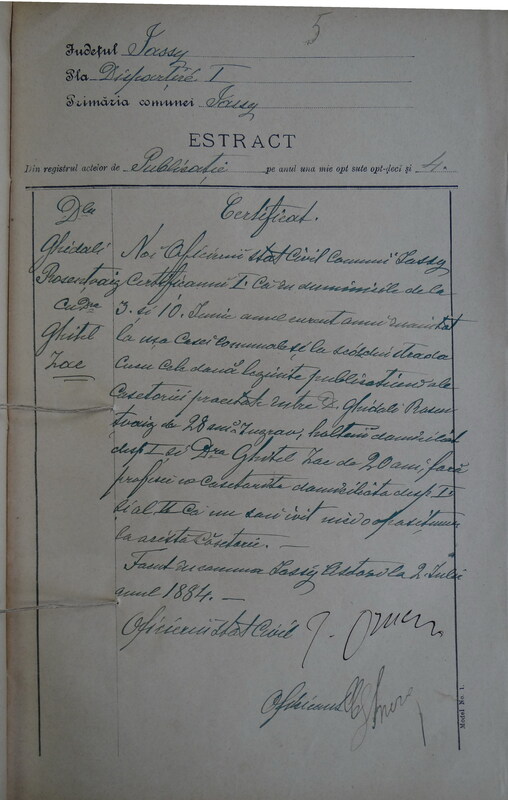 Gustave’s record was created at the time of his wedding in June, 1884, to substitute for a missing birth record. 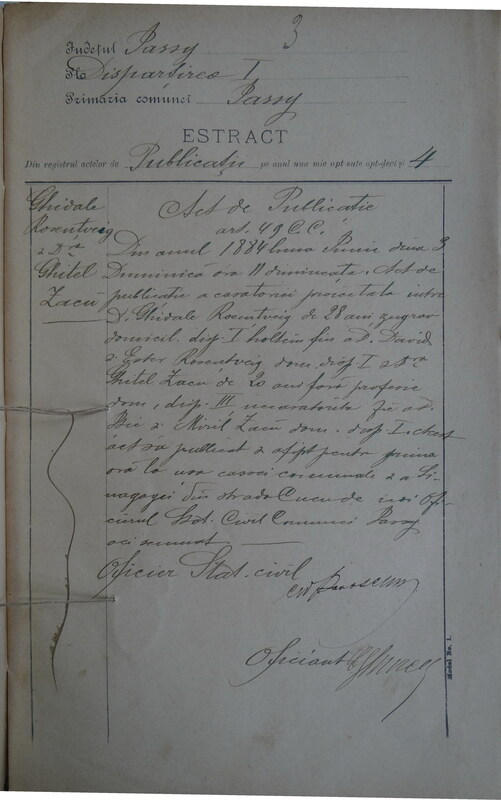 On this document, four witnesses, including his father David Rosenzweig and his father-in-law to be, Itzic Zacu, attest to the fact of Gustave’s birth as Ghidale on June 10, 1856. 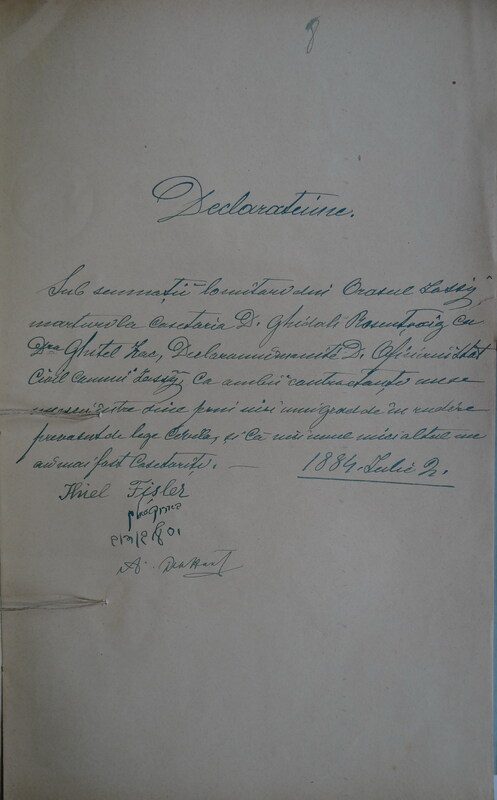 This document was important to me for several reasons: it provides not only information about Gustave’s birth date but also the birth year of my great-great grandfather David Rosenzweig. The record gives David’s age as 60 in 1884, meaning he was born around 1824. Also, it appears that Itzic Zacu knew Ghidale from birth or at least was willing to attest to that fact, perhaps indicating a close relationship between the Rosenzweig and Zacu families. 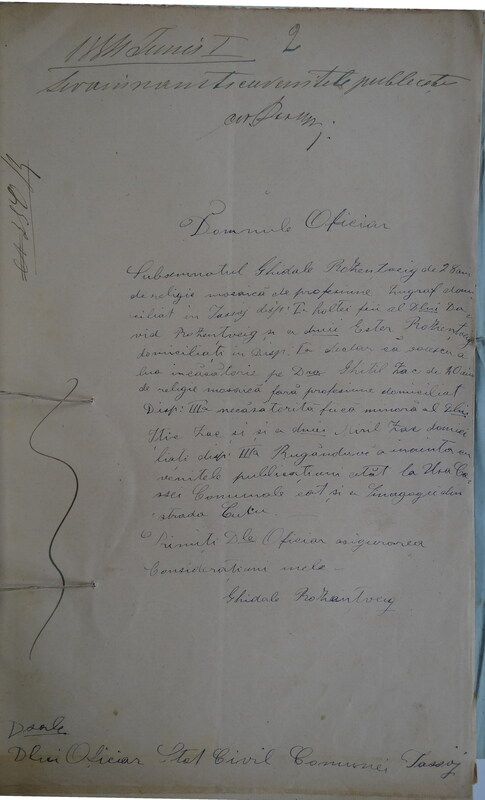 The second document is entitled “Testimony,” according to the translation provided by Marius. 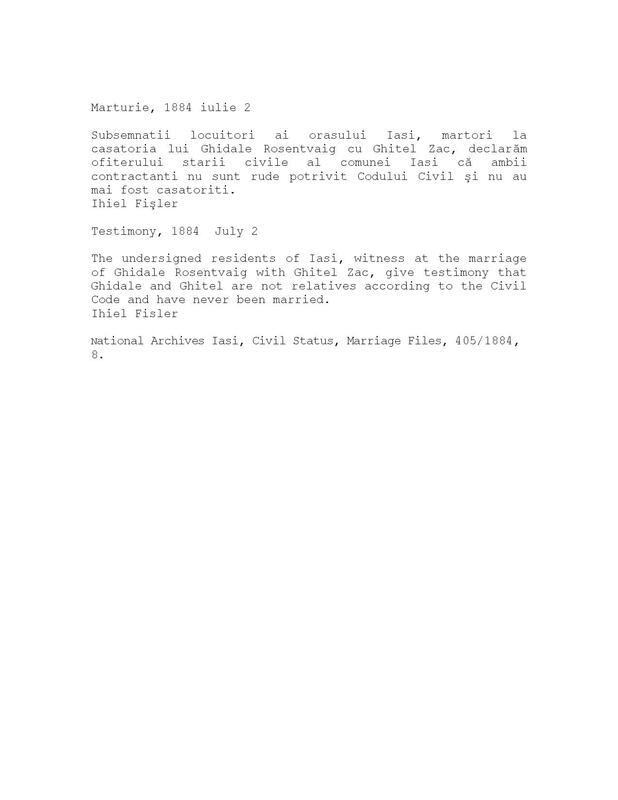 The translation simply reports that Ihiel Fisler, a witness to the wedding, attested to the fact that Ghidale and his bride Ghitla Zacu were not related under the Civil Code. The actual document, however, has four signatures, two written in Yiddish or Hebrew, two in the Latin alphabet. I have tried to decipher the ones written in the Hebrew alphabet, but would love some help if anyone knows Hebrew script better than I do. 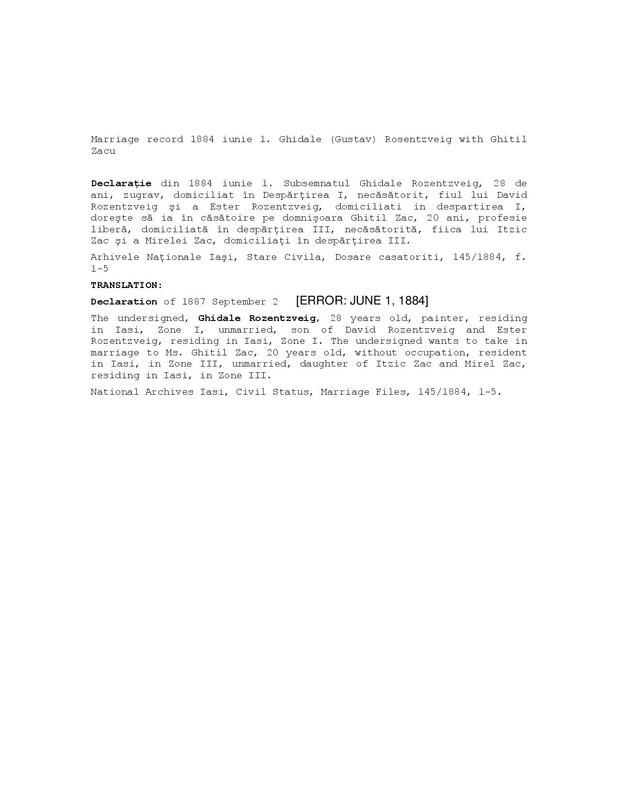 The remaining pages are the four pages of the marriage record itself, each one repeating what the other said, that is, that Ghidale Rosenzweig, 28 years old, son of David and Esther Rosenzweig, a painter by occupation, wanted to marry Ghitla Zacu, 20 years old, daughter of Itzic and Mirel Zacu, on June 1, 1884. Unfortunately, the translation Marius provided contains an error; it had the date as September 2, 1887, even though I could see the date was June (Iunie) 1, 1884 myself. I may ask him to provide a translation of each document separately, as it seems to me that there are some differences. Take a look and let me know what you think. When I reviewed these dates against the other records I have for the birthdates of Gustave and Gussie and their children, I was somewhat puzzled. According to the 1900 census, Lillie, their first born, was born in July, 1884, a month after the wedding. I realize that women did get pregnant before marriage even back then, but Gussie would have been eight months pregnant in June, 1884; why would they have waited so long? But then again the same census has Gustave’s birth year as 1861 and Gussie’s as 1862, not 1856 and 1864, as the Romanian records suggest. 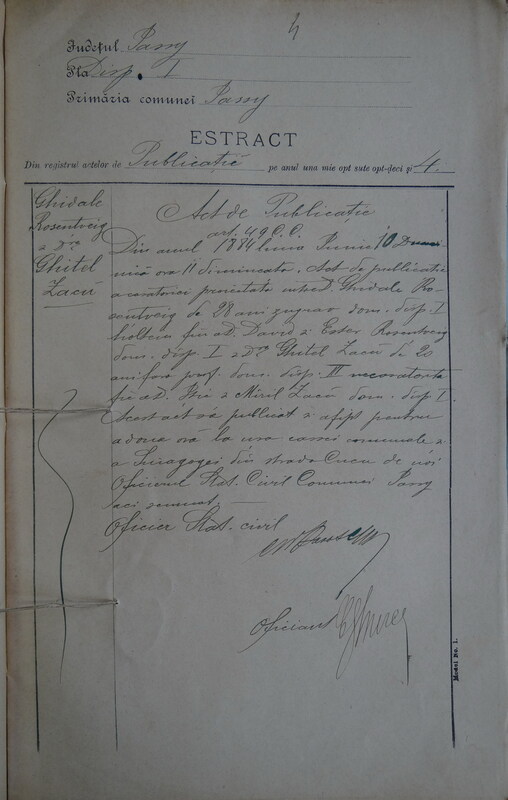 And it says Lillie arrived in the US in 1884, whereas Gustave’s naturalization papers clearly indicate that they arrived in 1887. Does it seem likely that Lillie was born a month after her parents’ wedding? I went back to look at the 1905 census, and there Lillie or Lillian is listed as 21, giving her a birth year of 1884 as well. On the other hand, on the 1910 census, she is listed as 24 years old, making her birth year 1886, which makes more sense. Unfortunately, I’ve not yet found any other record for Lillie either after 1910 or before 1900, so I have no further evidence to corroborate either date. Perhaps Marius will find her Romanian birth record or perhaps I will find more American records. But which should I trust? What do you think? UPDATE: This story on the blog Genealogy Tip of the Day relates to my question. 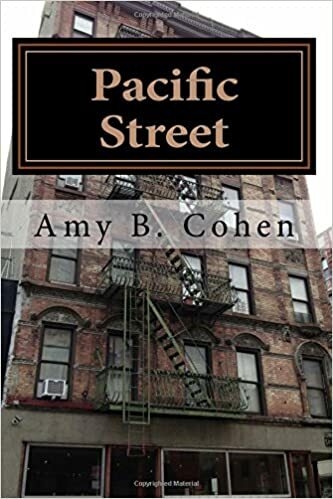 This entry was posted in Genealogy, Miscellaneous information and updates, Romania, Rosenzweigs and tagged Birth certificate, David Rosenzweig, Family, genealogy, goldschlager, Gustave Rosenzweig, Hebrew alphabet, Romania, vital records by Amy. Bookmark the permalink.